As everyone knows the main range of the Alps consists mainly of primitive rock. 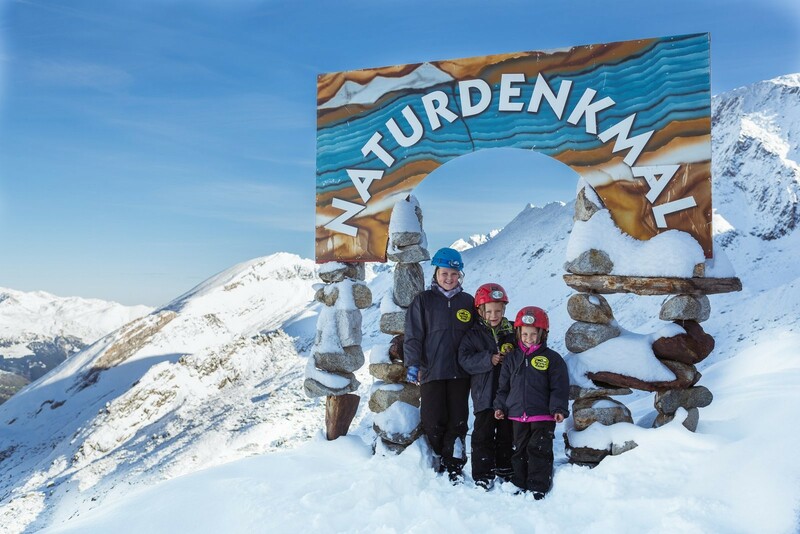 A geological peculiarity, however, is a stretch of marble (consisting of crystalline limestone) that extends from Hintertux south to the Spannagelhaus. 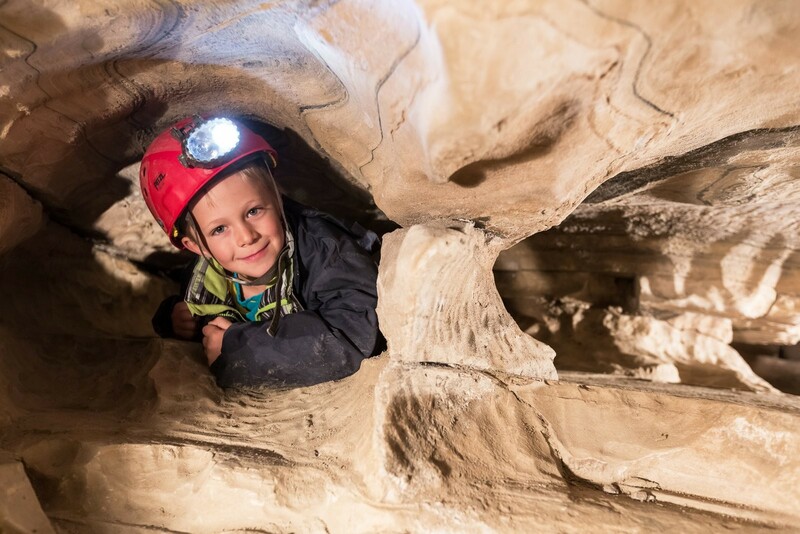 Located in this marble is the Spannagel Cave network with its numerous natural wonders. In 1964 this unique cave with its surroundings was declared by the Austrian government to be a natural monument, but it was a private venture that opened parts of it to the public on 1st July 1994. Throughout the year the professional guides take visitors on a tour of the parts that lie within 500 metres of the entrance. 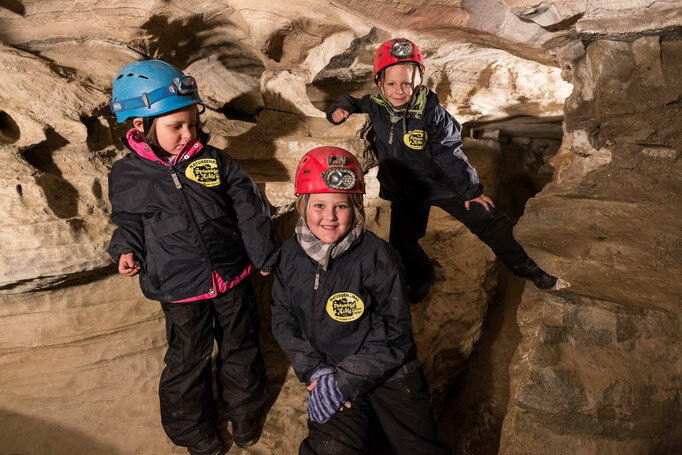 The deeper parts of the cave remain, however, the domain of experienced speleologists. Countless as yet unexplored galleries undoubtedly hold many a surprise in store. 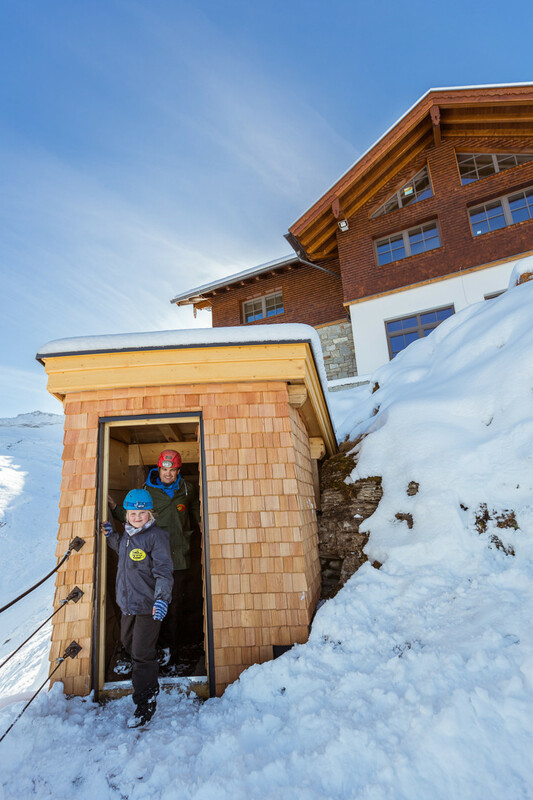 At the entrance to the cave next to the Spannagelhaus visitors are supplied with protective clothing and helmets, skiers get rubber boots. Stone steps then lead down to the Main Gallery, where erosion and debris the size of a football give an idea of the force of the torrents that helped create this network of caves. An adventurous path over steps cut into the rock leads to the Reunion Hall with a suspension bridge spanning the Dr. Lorenz Shaft. This Spacious cavern with its bands of blue-grey and white marbles is a breath-taking sight for every visitor. The trail then leads through the so-called Letter-Box to the beginning of the Limestone Gallery, from where still more galleries continue some kilometres into the mountain. 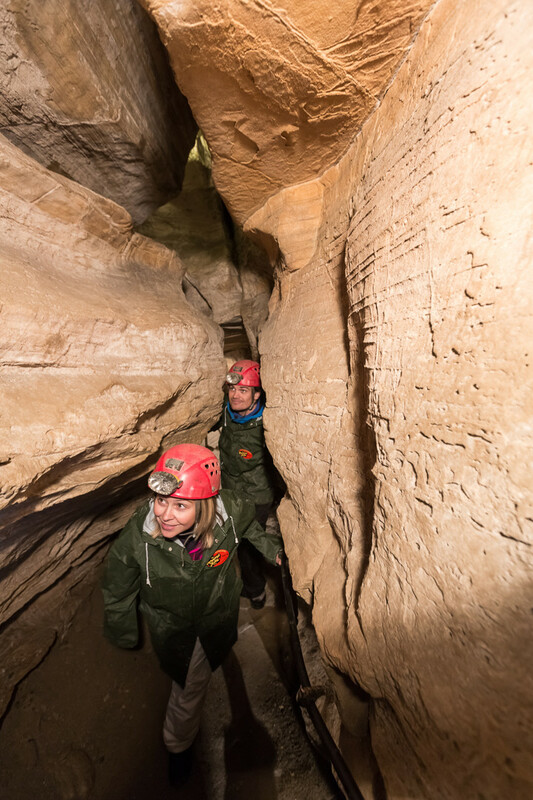 A narrow and impressive gallery continues to the Bull‘s Eyes and finally to the Water Gallery, where erosion basins and circular moulins show how this part of the cave developed. The eastern part of this gallery has been transformed into a museum, where you can see some of the cave‘s treasures. Steep steps climb to the overlying Entrance Labyrinth, where the trail returns to the Main Gallery and finally to the entrance. The deeper sections of the caves are, however, only suitable for experienced cavers. You can still expect some surprises on numerous unexplored chapters! On asking the question about what developments led to the creation of this intricate cave system near the Hintertux Glacier, you have in fact already put a name to what was primarily responsible! 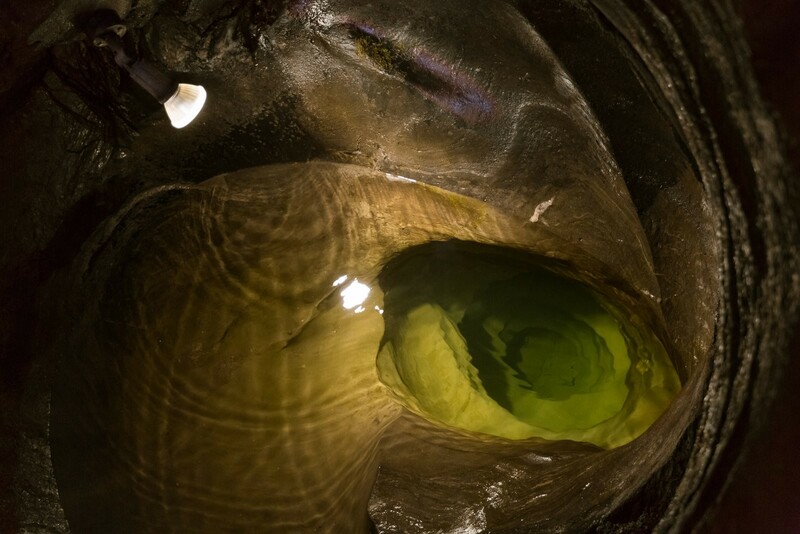 It was the glacier that left unmistakable traces in the cave with its’ considerable water resources. One such piece of evidence is the abundance of well rounded pebbles of central gneiss stone that can be found right up to the end of the cave system, but aren’t actually indigenous to the caves. Today’s cave streams are not capable of moving such large pieces of debris, not even during periods of thaw. This means that very different types of water currents must have searched their way through the marble and it is these melt water streams that have carved through the stone, forming moulins several metres deep in the subjacent gneiss. The area around the Hintertux Glacier consists primarily of central gneiss. Cave formation, however, is impossible in this type of stone. Due to the complicated tectonic composition of this area, a marble vein formed between gneiss rock thousands of years ago when immense earth movements created the Alps The cave system can be found in this 25 metre thick marble vein, which leads away from the Spannagelhaus in the direction of Hintertux. Sparse remains of former organisms were deposited on the bottom of a deep sea shelf, the depth therefore hostile environment of which is still evident, despite stone metamorphism that has since occurred, i.e. oxygen levels must have been incredibly low. In the case of the rear end of the Tuxer Valley, we know that these rocks only emerged in relatively recent geological times, after a period of deep immersion in the earth’s crust. The former process of “descent” into the earth’s interior occurred during the period of alpine formation as more southern lying upper crust segments were pushed over the present central alps and marble was deposited around 25 metres deep in the earth’s crust. In the prevailing conditions (temperatures of up to 550°C and pressure of around 10.000 bar) rocks reacted almost like plastic and their mineral content altered (metamorphosis) which, in the case of the Spannagel Caves, turned late Jurassic marine limestone into marble. The “upward lift journey” began 20 million years ago, when deep crevices occurred in the rock which filled with hot substances, forming the well known alpine minerals and rock crystals etc. Weather conditions and erosion have also worn away vast quantities of material since the beginning of this so-called “uplift”. The combination of a slow uplift and erosion have ultimately resulted in climbers walking over rocks today that were buried in the earth’s interior around 20 million years ago. The Spannagel cave system comprises nowadays of mainly hydrological fossil. By this we mean the rapidly flowing water currents of ancient times that transported large amounts of debris which carved out the chambers and holes under entirely different circumstances to that of today. Present day cave streams are but a trickle in comparison to what originally surged through these caves. In late winter their flow reduces significantly or even disappears altogether. 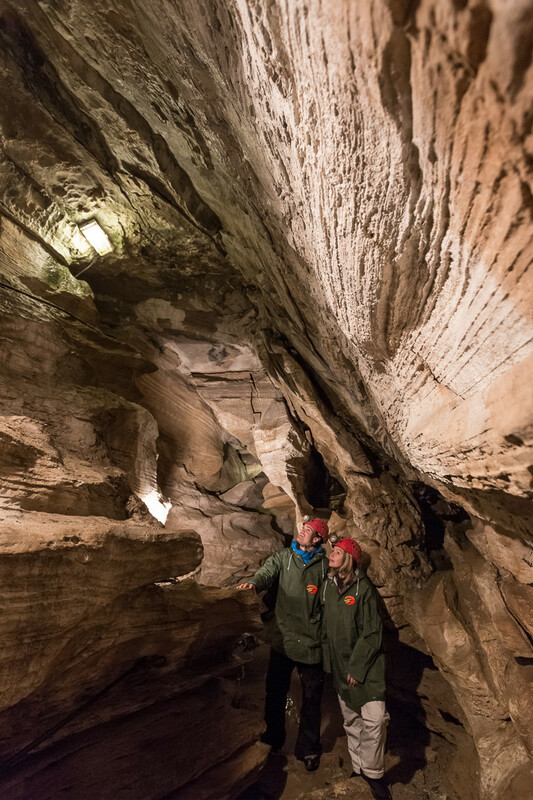 In addition to the fast flowing components, there is also a broad spectrum of leachates in the caves which act as drip points and are responsible for siliceous spring deposits. They range from corroded drip or splash waters to calcareous sinters and slow drip points, which can even crystallize gypsum with their slow evaporation. 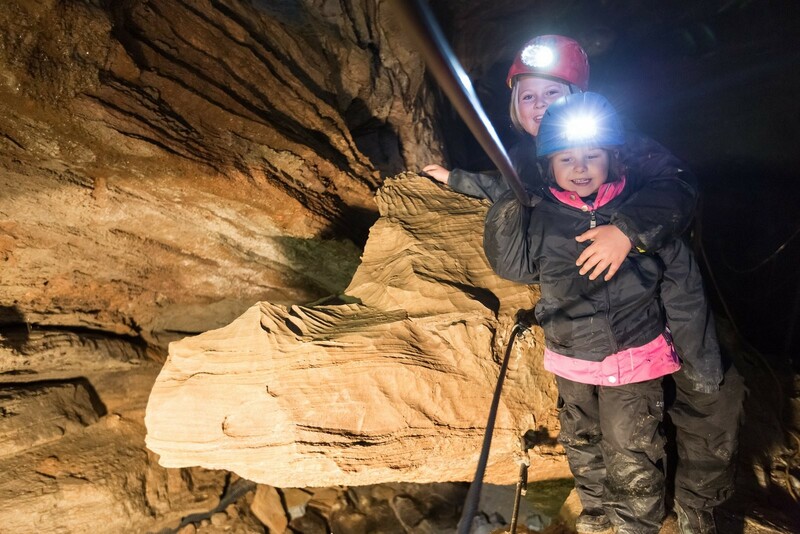 One characteristic of this largest cave in Tyrol is the fact that the entrance to them located directly under the Spannagelhaus is also the uppermost point of the cave system. 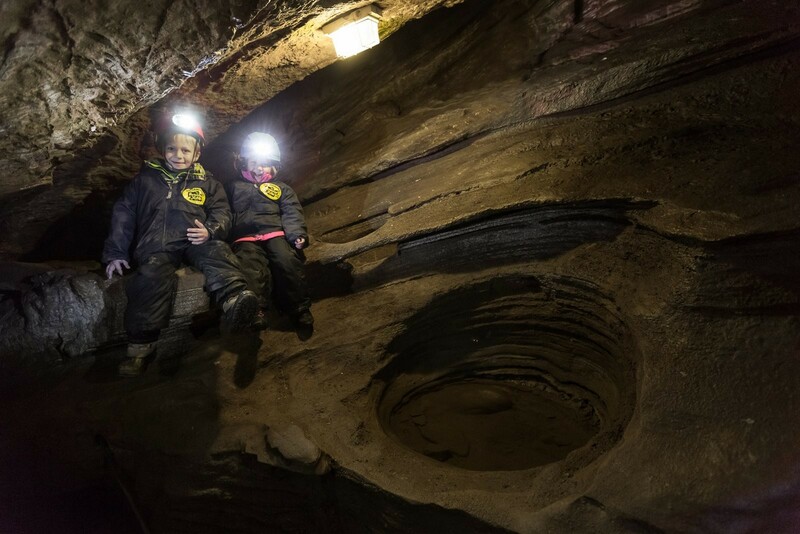 Little is known about the diverse air supplies to lower parts of the cave, especially in the north cave system. But fact is that airflow can be felt – particularly in the northern system. It can even result in unpleasantly strong winds in narrow sections. Ventilation of the Spannagel caves is based on the chimney effect: cave temperature is +2°C. If the outside temperature is cooler, air gets sucked upwards and blows out relatively warm at the entrance and vice versa.